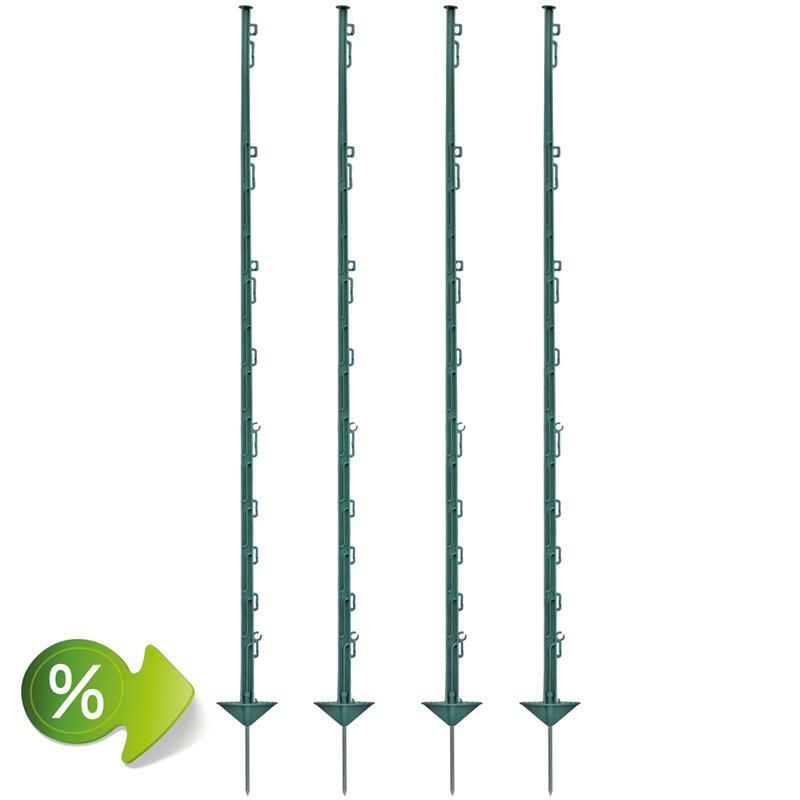 The optimum fence post for large enclosure areas – at a bargain price. 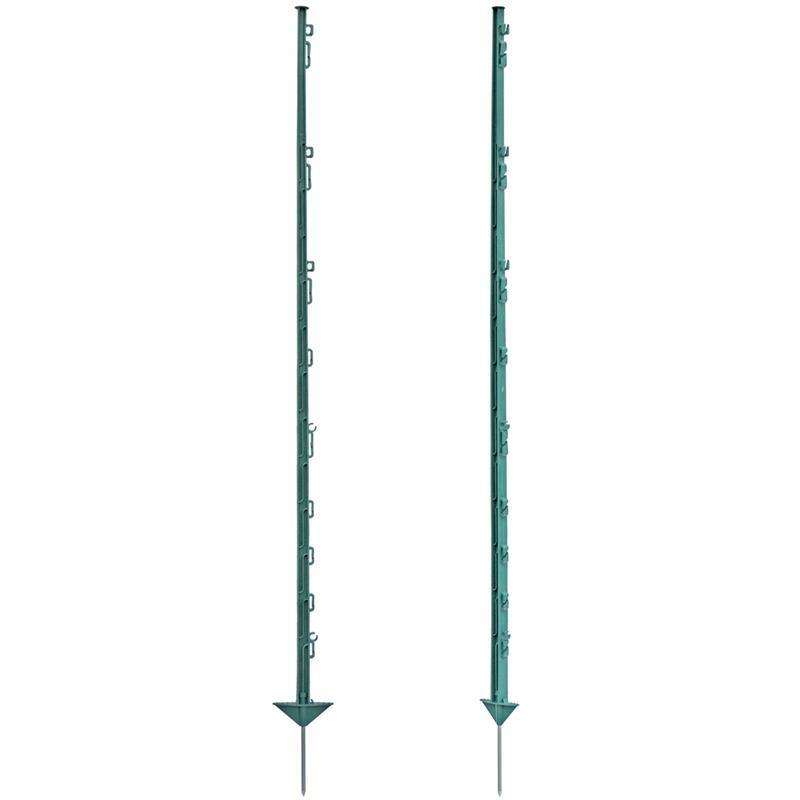 If you place the electric fence posts every five metres, you can lay out 6,000 sqm of electric fencing with this plastic post set from VOSS.farming. A special offer with a price advantage that counts. 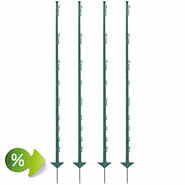 You receive 60 x VOSS.farming plastic posts in dark green. 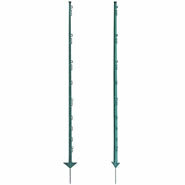 Among other uses, these posts can also be used in nature reserves, because they blend well with the natural scenery. In private areas too you can make maximum use of the advantages of an unobtrusive electric fence. 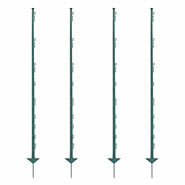 The plastic posts can be set up quickly and easily. Advantages include the low weight, the high-quality plastic, the structural design and the high mechanical load-bearing capacity. 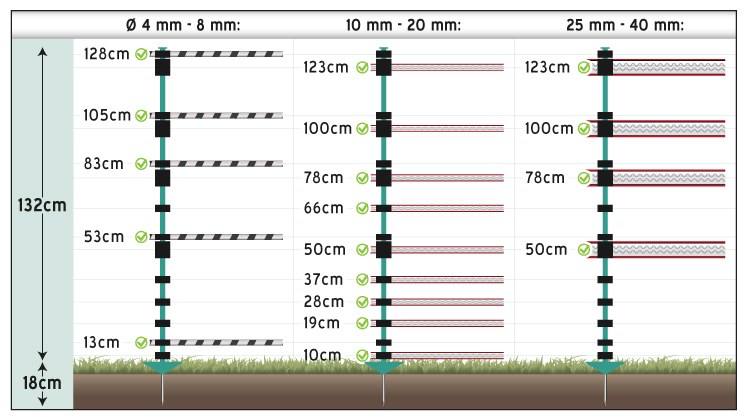 The length of the post – 150 cm – has been chosen so that even large animals can be safely enclosed. 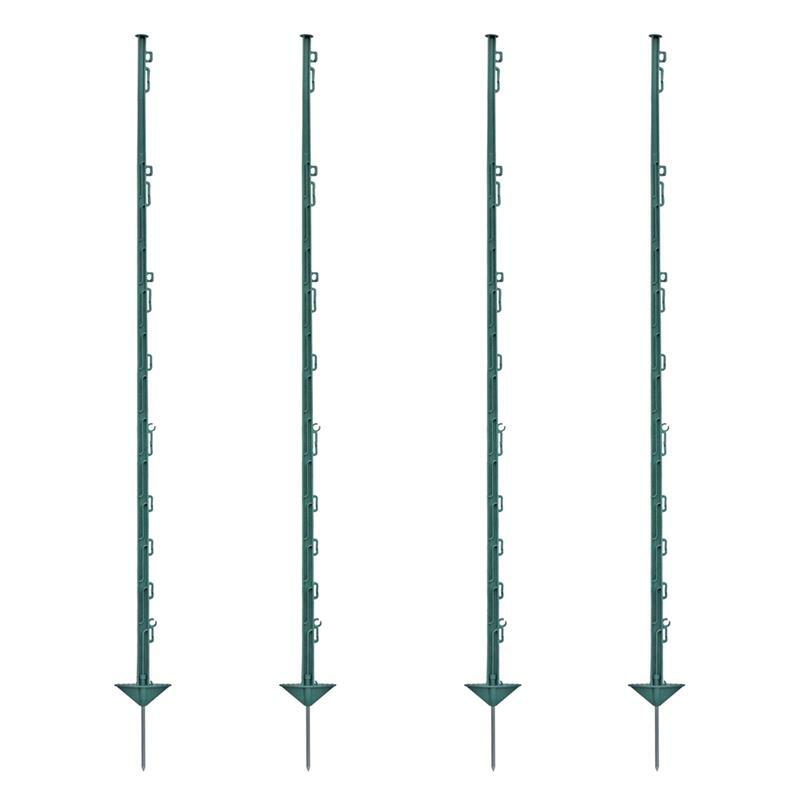 The post loops have been designed in such a way that the conductor material can be inserted quickly, but doesn't jump out again of its own accord. The number and arrangement of lugs for fencing tape, polywire and rope are such that a safe electric fence can be constructed for virtually all kinds of animals. In this way horses, ponies, cattle, goats, poultry and animals of similar size are optimally safeguarded. Wild animals are also prevented from breaking into the electric fence system. When the tapes, wires or polywire are tightened it produces strong tensile forces. So that the corner posts can withstand these forces and don't become bent, use stable wooden posts here, or the VOSS.farming 'All-round post' (item no. : 44387). The electric fence must be provided with "Caution: electric fence" warning signs at clearly visible points. You can find everything you need here in our electric fence shop.